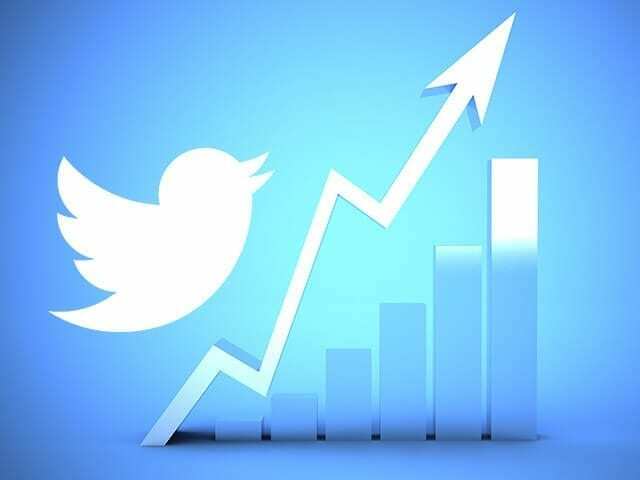 Twitter announced on Wednesday that its Twitter analytics dashboard, a tool that gives users insight into their feeds, is now open to everyone. The platform provides a deep-dive into metrics previously unavailable, such as total impressions, engagement rate and follower demographics. Essentially, it allows you to gauge the performance of every tweet you send, and to compare that over time. How many impressions do my tweets receive? Which of my tweets resonate best with my target audience? How do my tweet metrics break out by organic and promoted activity? How does my recent performance compare to past results? How do my engagement metrics break down by type? 1. No more third-party tools. Social networks have typically made this data available only to advertisers. Companies have thus had to rely on third-party tools to provide analytics on Twitter campaigns. With this new announcement, you can now see how many favourites, retweets and replies your tweets earn for free. This is useful for entrepreneurs who lack the resources needed for more advanced tools. The analytics platform allows you to export the data as a CSV file as well as track how Twitter Cards drive clicks and retweets. According to Twitter’s support page, the dashboard is open to every account that has been open for at least 14 days, is not restricted, protected, or suspended, and publishes tweets in English, French, Spanish or Japanese. 2. Track your tweets in real time. You can use the information in the dashboard to help you optimize your brand’s performance on Twitter. The ability to see how your tweets are doing in real time allows you to continuously adapt and adjust your ongoing content strategy. Determine the most effective and ineffective tweet mechanics including call to actions, hashtags and copy. Figure out the best frequency for tweets and adjust your tactics if your current strategy is not working. Leverage real-time trending topics to increase reach, if applicable to your audience. 3. Get to know your audience better. The Followers view can give you insight into who your followers are, where they are located, their top interests, and the accounts they follow. Take a look at my Followers view below, for example. 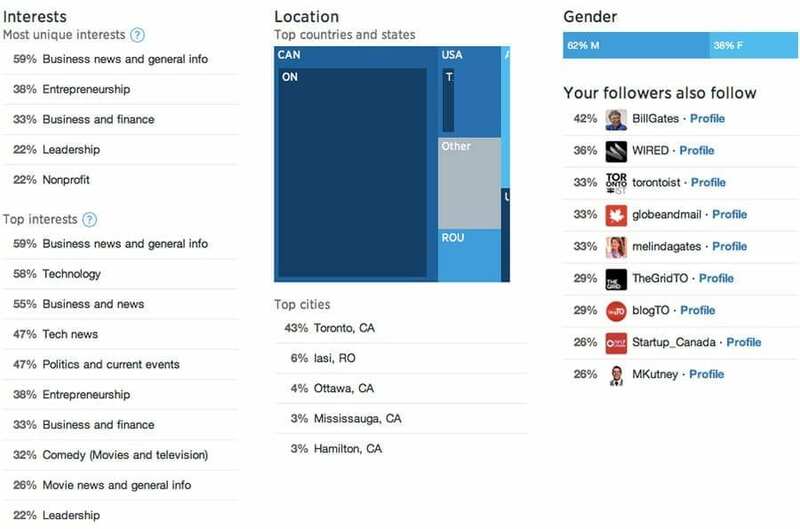 The metrics show that my followers skew male, are primarily located in Toronto, Canada, and are interested in business, technology and entrepreneurship. This is useful information if I intend to grow my followers base. For example, I can likely encourage more retweets by mentioning relevant influencers of those interests or related popular hashtags. The Follower view on Twitter’s analytics dashboard. Remember that ultimately metrics aren’t just pretty numbers to put in a PowerPoint deck. They contain a lot of information that you can use to analyze performance and adjust your marketing strategy. What worked? What didn’t? You can find your own analytics dashboard by going to analytics.twitter.com.